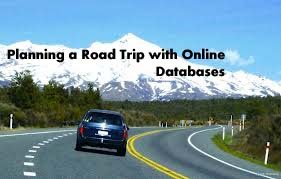 Online databases can be a great help to anyone planning a road trip. You can use them to not only map out your driving route in detail, but also to locate the best bargains: the cheapest food, gas, lodging and entertainment. Now, if you want the absolute lowest-priced accommodations possible – that is to say, free accommodations – look no further than Couchsurfing.com. This website, which began as a nonprofit operation in 2003 but has since gone the for-profit route, is a database in which members in over 170 countries offer their couches, for free, to weary travelers. On Couchsurifng.com you can also read biographies of each couch’s owner before asking to crash at someone’s place. Who knows? In the process of surfing couches you might end up making lifelong friends. If you’re as fascinated by the roads you drive on as the attractions you visit, try out the National Scenic Byways Program’s database at byways.org. It will provide you with directions, maps and descriptions of the United States’ “nationally designated scenic drives” – and there are 96 of them. So instead of traversing endless, bland interstates, you can cruise the Death Valley Scenic Byway, the Cherokee Hills Byway, and many more. Maybe you’re more interested in events than landmarks, and maybe your main reason for traveling is to attend concerts, county fairs, book fairs, festivals, fiestas and the like. If so, a terrific database for you can be found at WhatsonWhen.com, a website operated by Frommer’s. At this site you’ll find daily listings and descriptions of major events worldwide. You can also search for upcoming events in categories such as “Kids & Family” and “Sports & Outdoors.” Or, if you know you’ll be in a certain city on a certain date, you can look that city up and discover practically every exciting happening scheduled for that day. 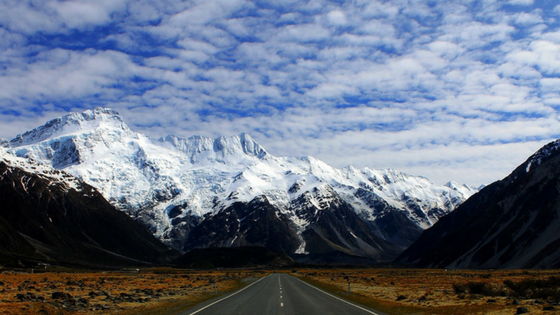 You might wish to take advantage of more traditional road trip-planning databases, too. One that’s been around since the invention of cars – at least, it seems that way – is the American Automobile Association’s TripTik. TripTik provides travelers with highly detailed, accurate maps specifically tailored to their travel plans. Since 2007, TripTik has been free to everyone on the Internet; before 2007 it had been reserved for AAA’s members. And this program not only makes it simple to map out multi-destination trips, but when you use TripTik, all the lodging reservations you need to make are just a click away. Another old-school tool for traveling, one your grandparents may have used in its non-digital iteration, is the Rand McNally map. Now called TripMaker, Rand McNally’s online database debuted in 2005. It lets you instantly plan out a round-trip route, and it optimizes any route that includes four or more stops. Gasoline calculators are a huge help in reducing trip expenses; you can easily search for them on any Internet search engine. On a website such as Gasbuddy.com, you simply enter the addresses of your starting point and destination, as well as the type of vehicle you drive, and the database will tell you the locations of the gas stations offering the cheapest gas en route. The websites and databases listed above are just a few of the places available online to facilitate the planning and budgeting of a road trip. Many more such sites exist – sometimes it seems like there are as many road trip-related websites as there are places to visit on a road trip. Happy travels!